2 Bedroom Flat For Sale in Sheffield for £120,000. 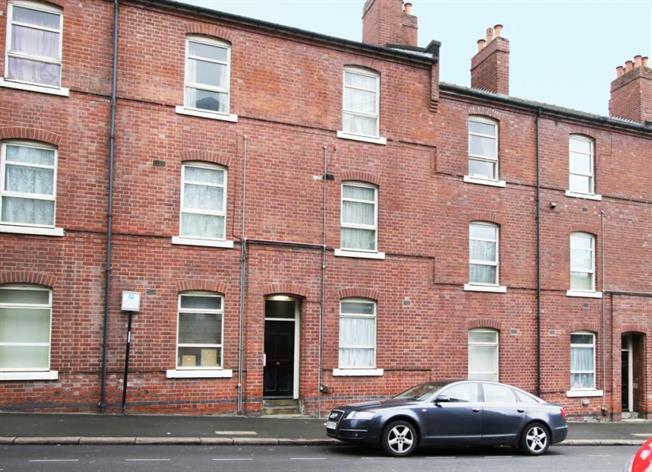 Offered for sale is this lovely ground floor, two bedroom flat located on Hawley Street. The property on offer features a large lounge, and two good sized double bedrooms. You'll find a separate and clearly defined kitchen with integrated fridge. The bathroom has a white three piece suite and is fully tiled. A parking permit can be applied for through the Sheffield City Council, parking spaces can be found to the rear of the property. Hawley Street is located within close walking distance to the Cathedral, you'll find an array of amenities close to hand including; shops, bars, restaurants and multiple forms of public transport. What's more, you're within walking distance to both of the Sheffield universities. This flat has previously been used for investment purposes, and offers a rental potential of 575 - 600pcm. Currently available as vacant possession, furniture is also open to negotiation. This could be the ideal flat to add to your investment portfolio, whilst also a great place to get your foot on the property ladder if you're a first time buyer. Please contact branch for further details.